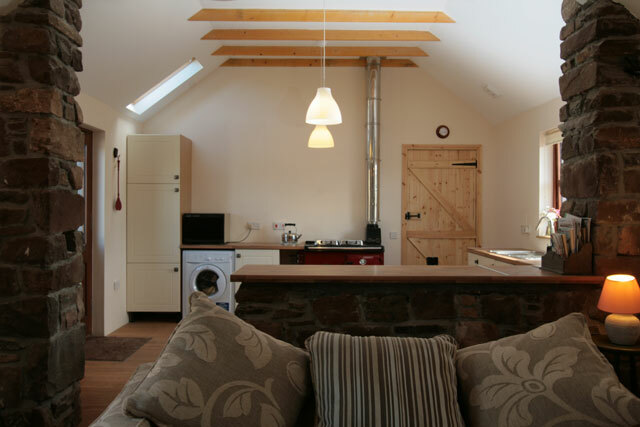 Swallow Byre is a beautiful renovation of a traditional barn. 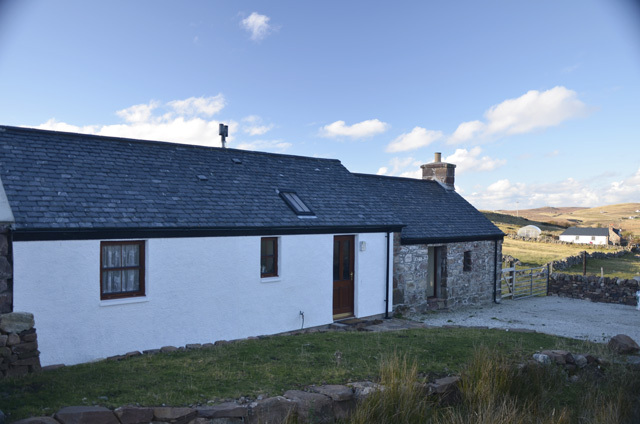 Situated just seven miles from the village of Lochinver the property is ideally located for exploring the Assynt Peninsula and its spectacular coastline. The property is ideal for two but can accommodate an additional one adult or two children with the use of a sofa-bed. The renovation has retained much of the original character of the building making this property somewhat unique. The main part of the house is open plan with the lounge at one end and the kitchen diner at the other. A striking feature in the lounge is the original exposed stonework and the windows, one of which is located in what would have been the original byre door. The lounge is furnished with comfortable seating and benefits from having a wood burner. A breakfast bar separates the lounge from the kitchen. 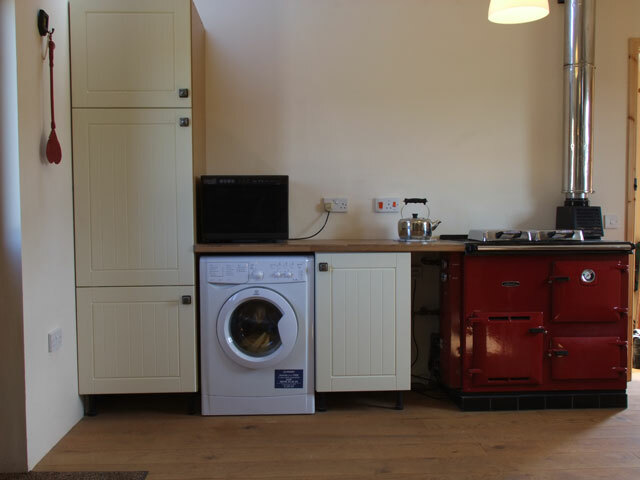 The kitchen is well equipped and has all the usual kitchen items including a Rayburn for cooking. Further facilities include a bedroom with a zip and link king size bed and a wet room. 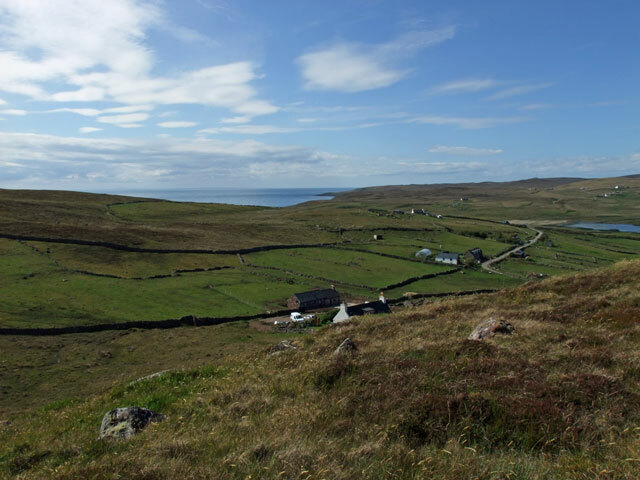 Stoer itself is a small hamlet with just a few inhabitants. Not far from the village is Stoer Bay together with a great sandy beach. Heading north you will find the Stoer Head Lighthouse built by the Stevenson family in 1870. Beginning at the lighthouse a popular walk leads you along the cliffs to the remote Point of Stoer. The scenery here is quite amazing, the highlight of which is the 200ft rock stack of the Old Man of Stoer, a particular favourite of climbers. Travelling south back to Lochinver the small village of Clachtoll can be found. Visitors should look out for signs to the campsite, follow the small road leading through the campsite to the bay and its stunning beach of white sands. The views here are quite spectacular, including the mountains in the south. The area is a popular spot for a day out and the beach ideal for relaxing on and thinking about the following days adventure. Clachtoll campsite also has a small shop which is open Easter to the end of October. Lochinver itself is a busy fishing port, one of the busiest in the Highland Region and a stopping off point for vessels from many parts of the world. The village is home to the The Assynt Visitor Centre, created by the Assynt Tourism Group. The centre has many displays and information about the area, and also incorporates the Tourist Information Centre, a must visit place for any guest. Around the sea front there are a small selection of shops including a very good butchers and the Lochinver Larder, ideal for a quick lunch or an evening dinner, they also do a great range of takeaway food including their renowned pies. Located on the opposite side of loch Inver is the Highland Stoneware Factory and Shop, their hand painted ceramics are known for their designs inspired by the local wildlife and scenery, and you will be able to see the artists at work and perhaps purchase a gift. This side also allows you to enjoy the most spectacular views of the domed peak of Suilven, the mountain at 2389ft is not that high but does look quite impressive. Lounge - comfortable sofa, armchair, wood burning stove, digital Freeview TV, DVD, CD, Radio. The sofa can be converted to a sofa-bed for one or two small children. Modern fitted kitchen, Rayburn cooker, microwave, fridge with small freezer box. Master bedroom with zip and link super-king bed. Please specify at the time of booking if you require this to be made as twin beds. Wetroom with shower, wc, whb, heated towel rail. Initial fuel for the wood burning stove, extra supplied at a small charge. We have been advised that in the area, mobile phone reception is available using the Vodaphone, Orange and O2 networks. Beautiful conversation of an original barn. Spectacular coastline of the Assynt peninsula close to hand. Fantastic rural location with walking, cycling and wildlife on your doorstep. 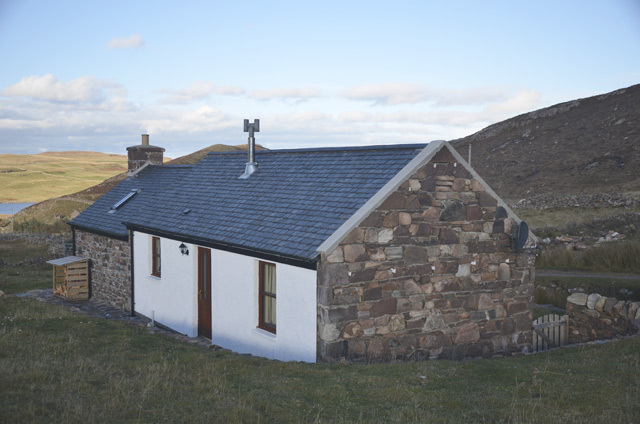 A beautiful cottage in a nice remote location. Beautifully warm thanks to the Rayburn, and well equipped including a very large bed. A warm welcome, including scones, from the charming landlady who lives nearby. Highly recommended for a couple. 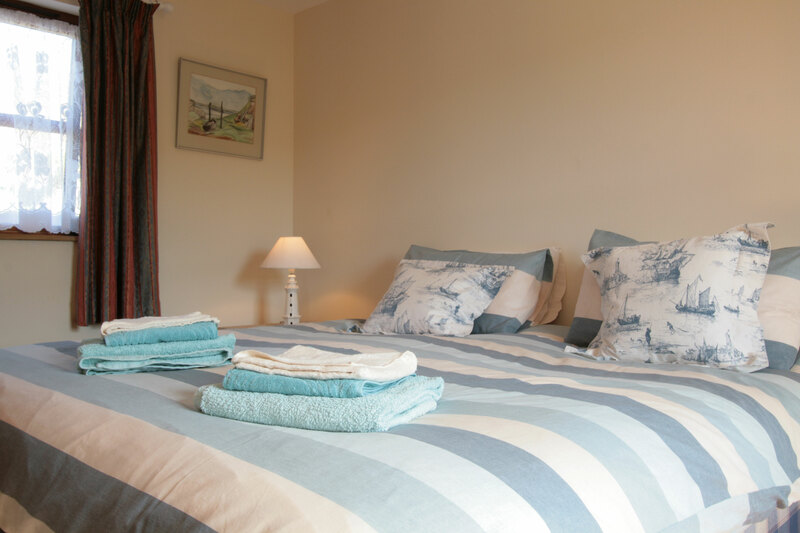 Could not have been better, lovely clean cosy cottage, Jane the owner very helpful and enthusiastic. Superb part of Scotland. 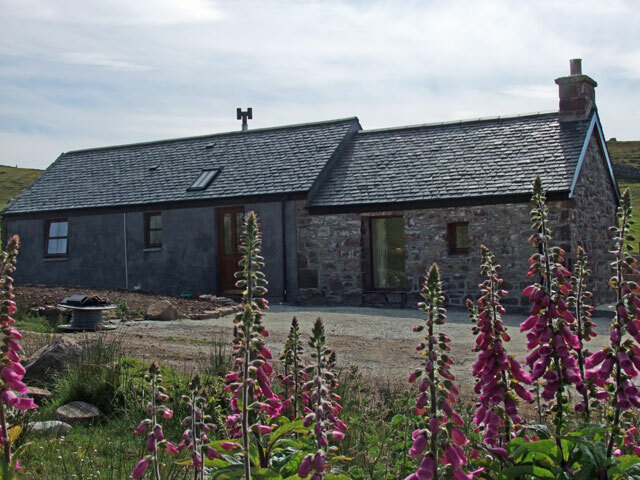 We had a sublime time at Swallow Byre. Space, quiet and great beaches to explore. Would recommend a trip to Handa Island. Jane was helpful and around if we needed but not intrusive. 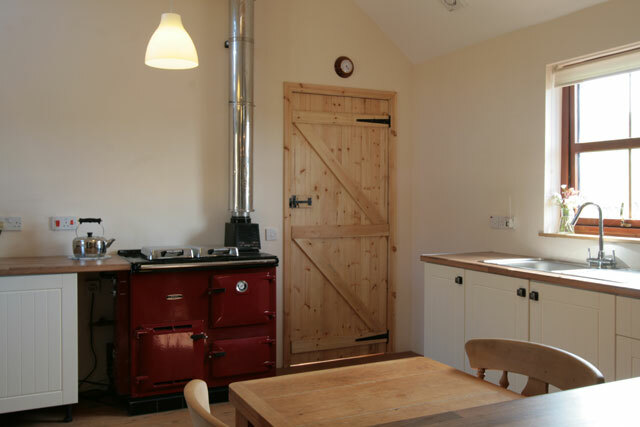 Swallow Byre is well-equipped and the Rayburn kept the place warm when needed. Really enjoyed our stay it was totally relaxing, the owner is so kind and welcoming. I would recommend to anyone. Nice little cottage, warm and cosy. Very quiet location near the Point of Stoer. Thanks Jane and Jack for the warm welcome and the delicious scones. 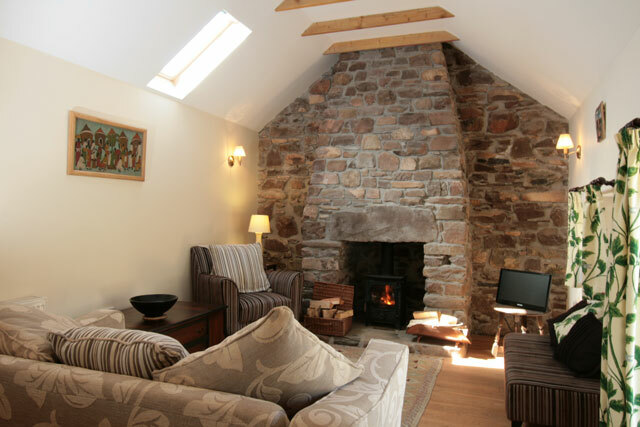 Swallow Byre was the perfect place for a chill and unwind. Perfect for a couple sharing, excellent facilities and very cosy - the woodburner stove was great but rarely used as the place was so warm. No phone signal and no wifi took about a day to get used to then you remember what life used to be like! Read a couple of books in the total peace of the evenings. Jane was very friendly and helpful. 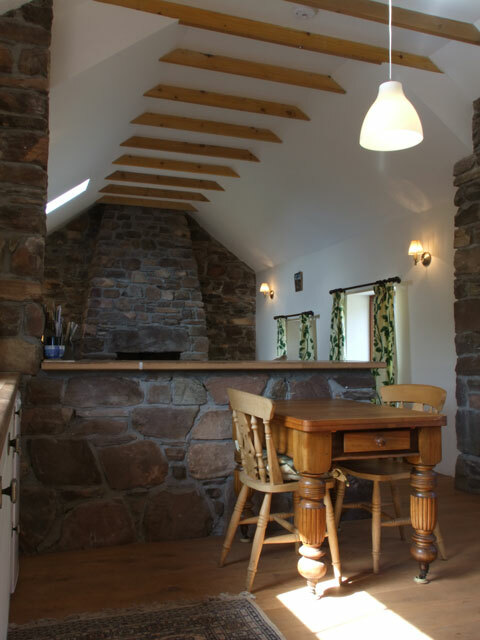 The Byre is well placed for walking and cycling from the door or further afield. We will be back. Swallow Byre was perfect in every way! A wonderful welcome from Jane, spacious accommodation, huge comfortable bed and everything we could wish for. Great location for exploring The Assynt. We very much enjoyed the cottage and its position. We had a brilliant time. Loved this place so much! 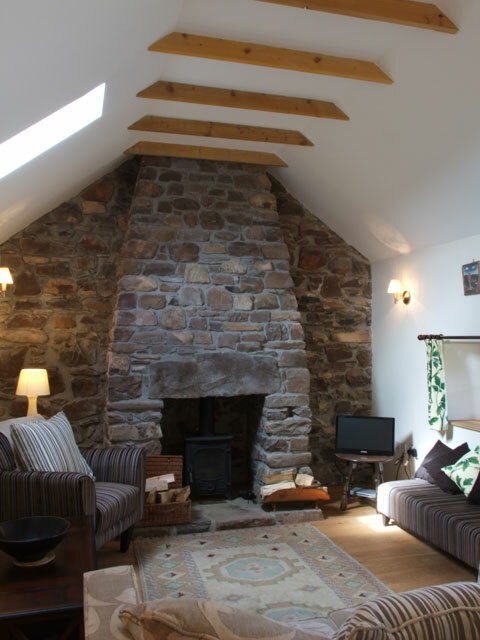 Warm and cosy cottage which has beautiful stonework inside and out. Great for coming home to from a day outside as its well equipped and tastefully decorated. The wood burner stove was also an added bonus. Views and surroundings are all amazing and lots of wildlife on the go. This was our first trip to the area and we were very sad to leave but will definitely be booking again!